Looking for an original and unforgettable place for your wedding? A tale wedding? Want to surprise your guests? 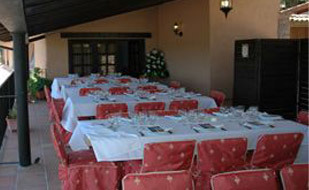 Barcelona Weddings Castle offers a different and unforgettable space for your wedding and your celebrations. Medieval castles, halls and privileged backgrounds, magic gardens around them, and all the details you put your feet to make your dreams come true. WE HAVE THE BEST PLACE FOR YOU !! We have a wide range of areas, monuments, castles, places, houses, hotels, restaurants we work together. You manage YOUR honeymoon !!! Until now we have offered the hotel, catering, waiter service, transport, holding and NOW .... THE honeymoon! Will you marry ... U.S.?? We have a multitude of options with different characteristics to suit their wishes as possible! We castles for weddings, both civil and religious. VOLS PARTICIPATE IN A WEDDING? Contacta'ns !! Are you a musician and want to play at weddings? Rental cars and want to offer your services? 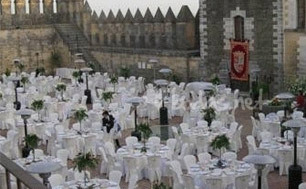 The medieval castle, its staff and its services becomes an ideal place for your wedding near Barcelona and all of your most special events. 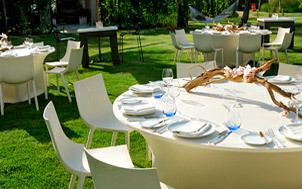 Here are a selection of restaurants and catering services specialized weddings and banquets.